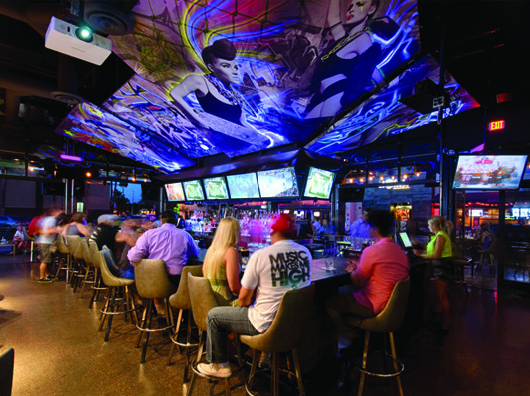 Located in the heart of downtown Tucson, Hi Fi Kitchen & Cocktails is a music-centric retro haunt with a full menu served late into the night, and a cocktail and adult milkshake menu to match. 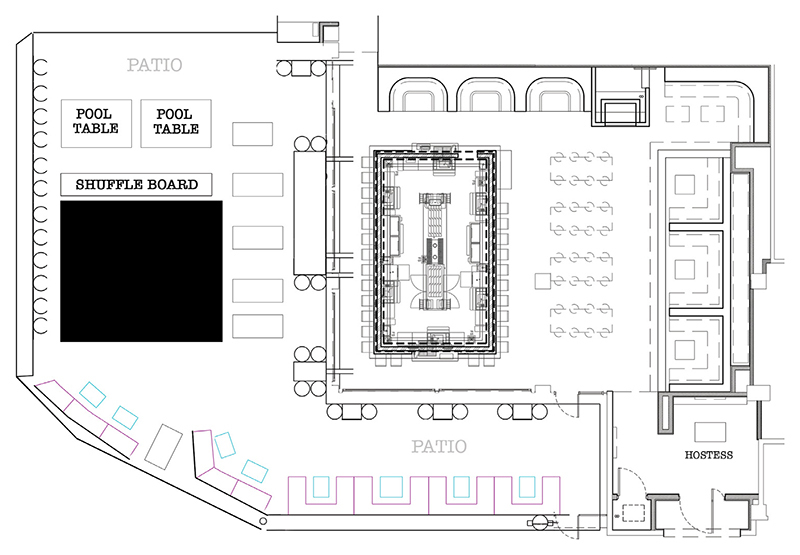 Housed inside a ground-up, contemporary build with stone, steel and concrete bones, HiFi is a fully indoor/outdoor space lined with garage doors overlooking Congress street, with a square island bar, an elevated lounge-style seating area, plus two community tables, outdoor hightops and resort-style lounge furniture. 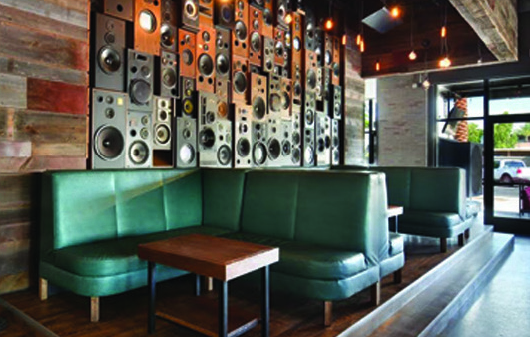 Two design centerpieces dominate the visuals: a vintage speaker wall erected with wood-framed speakers and throwback black and white televisions, giving way to the showstopper — a digital graffiti wall that projects an ever-evolving array of 3D images that morph the mood throughout the night. Also available: three 15’ projector screens and 35 additional HDTV monitors with branding and presentation capabilities. 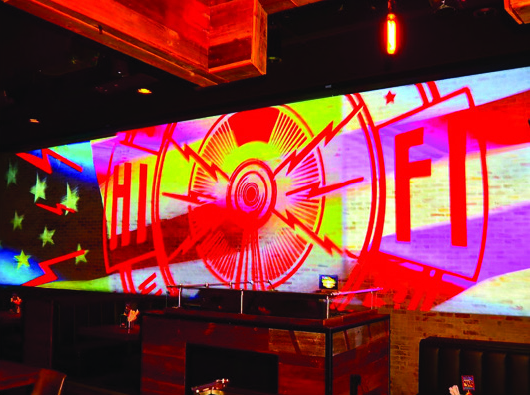 Hi Fi’s menu focuses on amped-up American classics with uniquely sweet accompaniments. Our specialty: more than a dozen varieties of custom soft-serve milkshakes, each available in “adult” form with a boozy component, making for a whimsical addition to your next event.